Payal Singhal presents Palace of Mirrors at Lakme! Payal Singhal presents Palace of Mirrors at Lakme!. It’s my version of Hugs and Kisses. It was quick this time and I loved making this one. 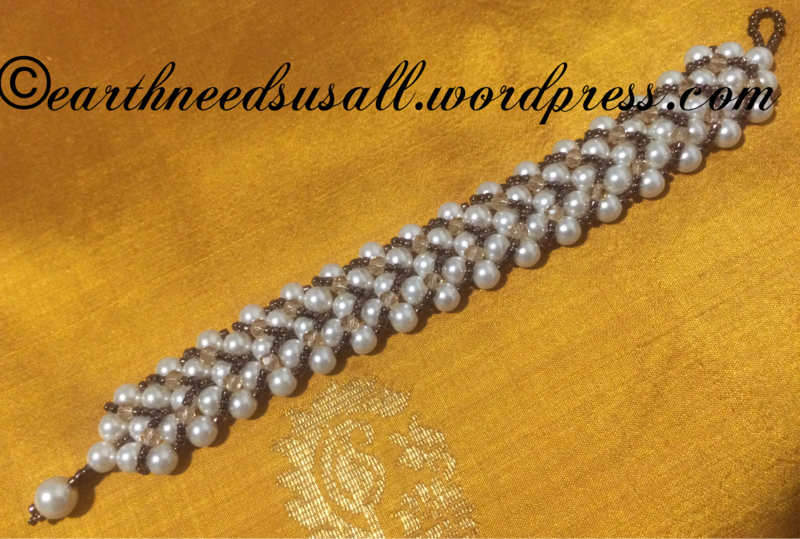 I think it’s time to move to Swarovski pearls & crystals especially with a pattern like this in hand. 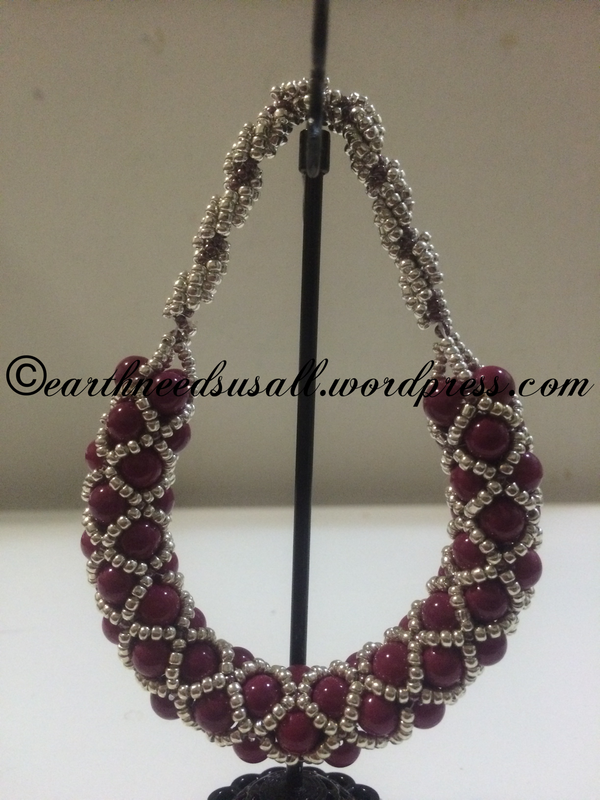 I started this design to make a tubular bracelet but then I ran out of beads to finish the bracelet and so I decided to finish the filled netted tubular stitched bracelet into a mini bejeweled hanging bag that can be used for home decor. Tubular stitch and spiral stitch both combined in one piece of craft. Both are famous Russian style beading techniques which I have admired a lot and wanted to try as soon as I got my Japanese seed beads. It is cute when it is hanging in my earring holder. This pattern was made by my five year old with his own imagination. He just picked his beads and started making this pattern. I was so surprised to see him following the pattern of Blue-Tube-Black without missing them. 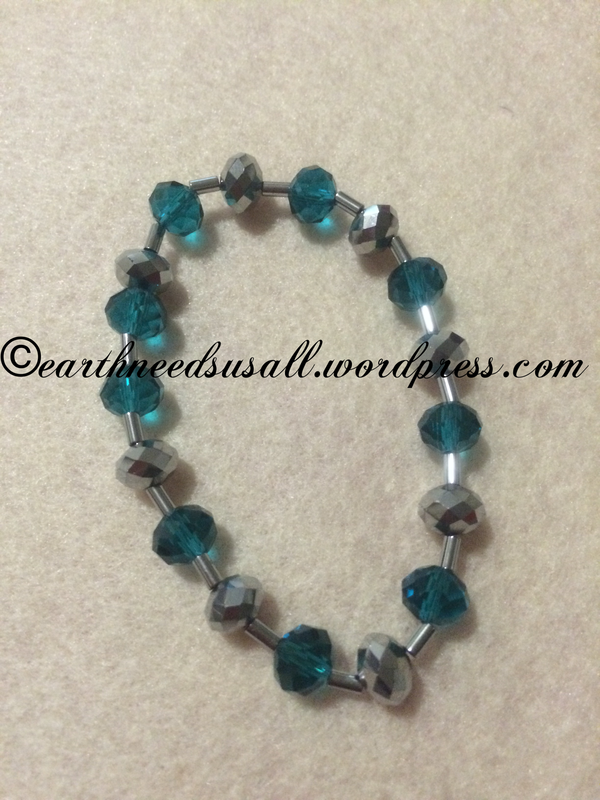 The only place where the pattern is a bit disorderly was due to me tying the knot to finish the bracelet. 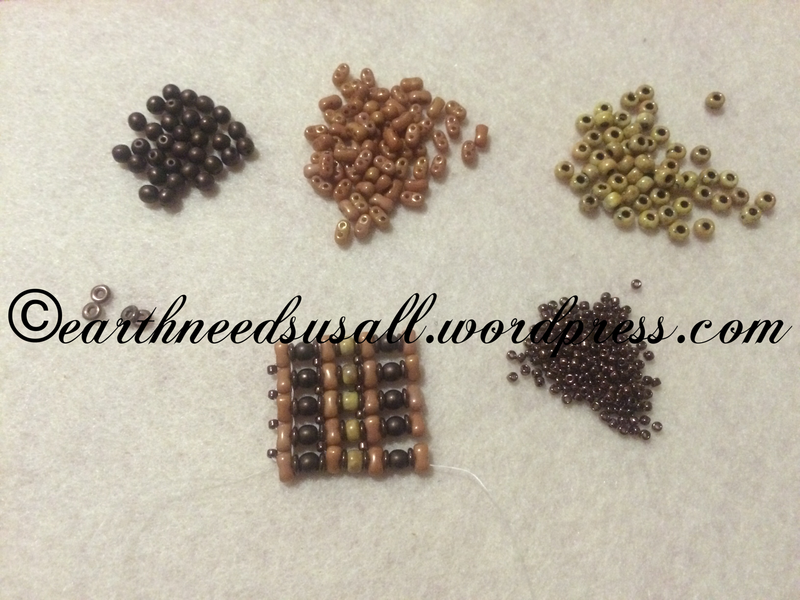 I am having fun trying different patterns with different types of beads. 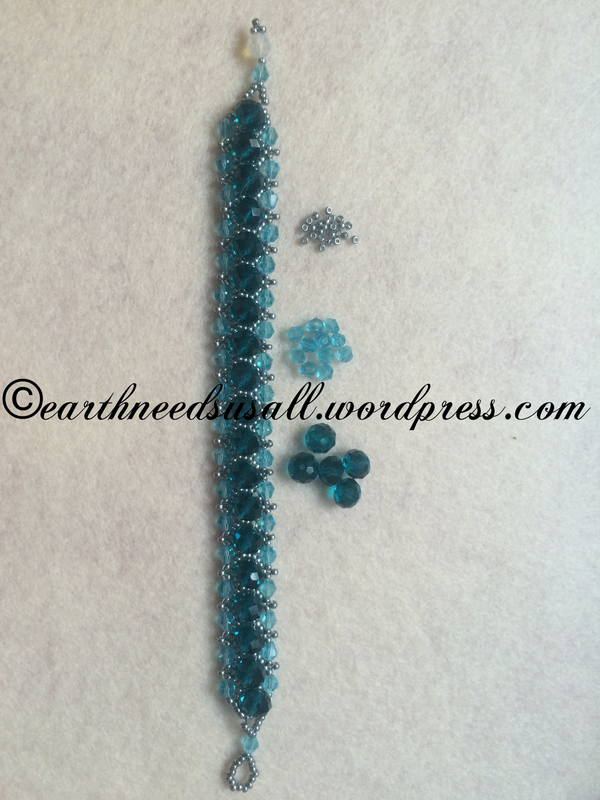 Next project is with Czech beads. There are so many patterns that I can really enjoy making with these beads. Some of the in progress pics are here. I forgot where I saw this pattern so unfortunately I am not able to give credit details. I’m still hunting to find where I read this pattern. 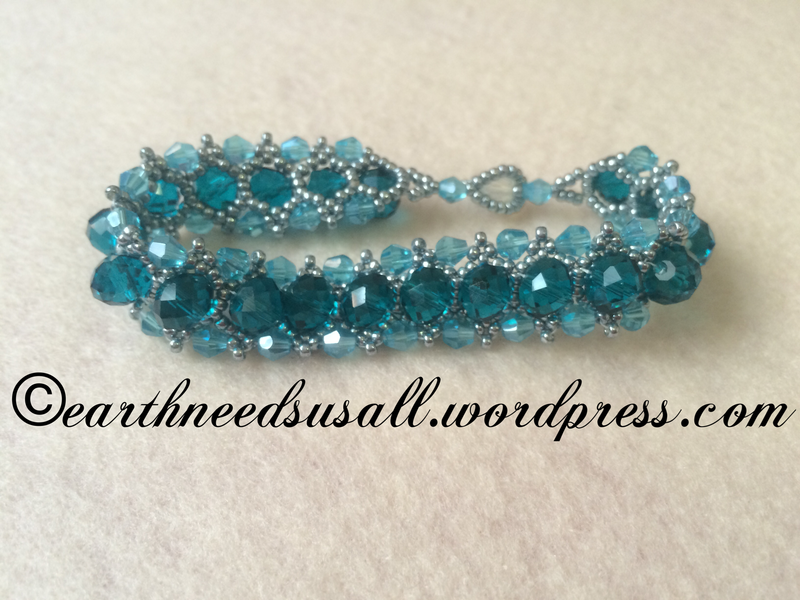 All of the above reminds us of the youthful colour ‘Blue’ and I loved making this Parisian Lights bracelet inspired from Jill Wiseman’s design with blue crystals and seed beads. 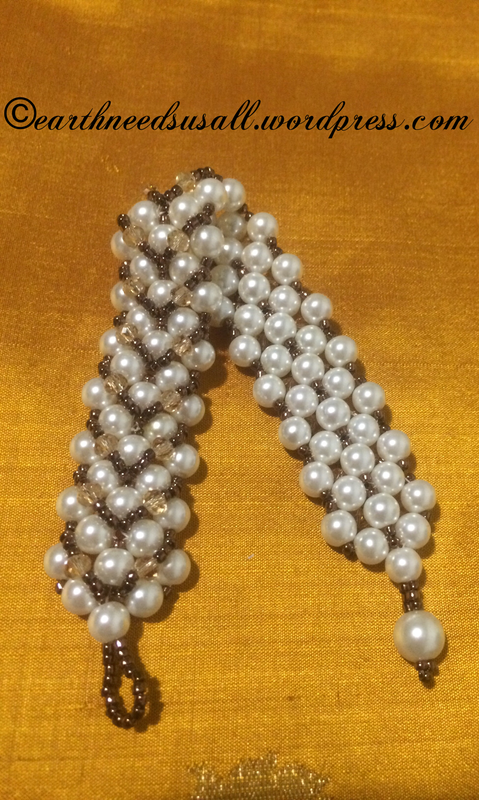 I know that my seed beads were 11/0 size but I have no clue what is the size of my other beads as I just picked them from my beads stash which I got from India.